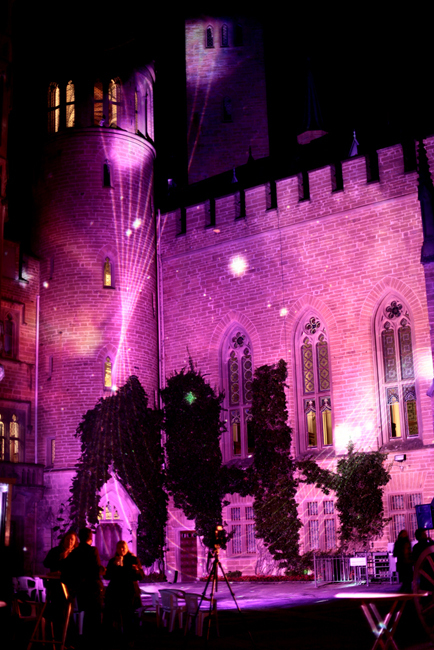 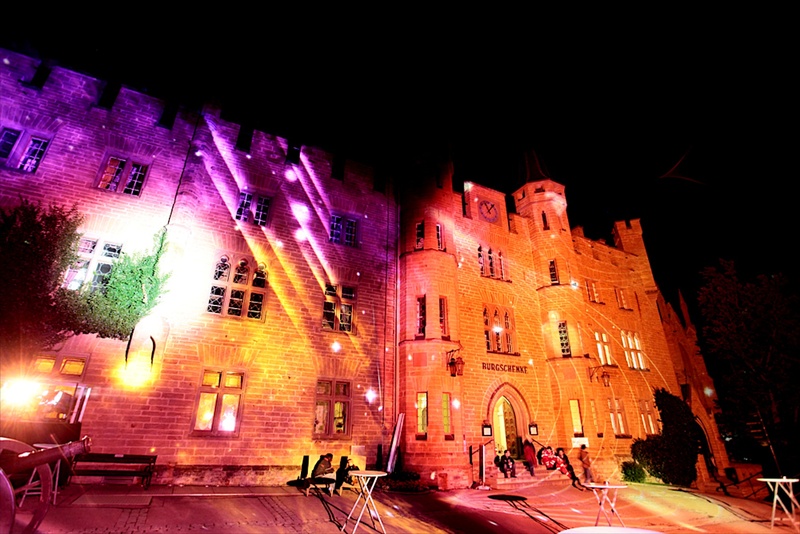 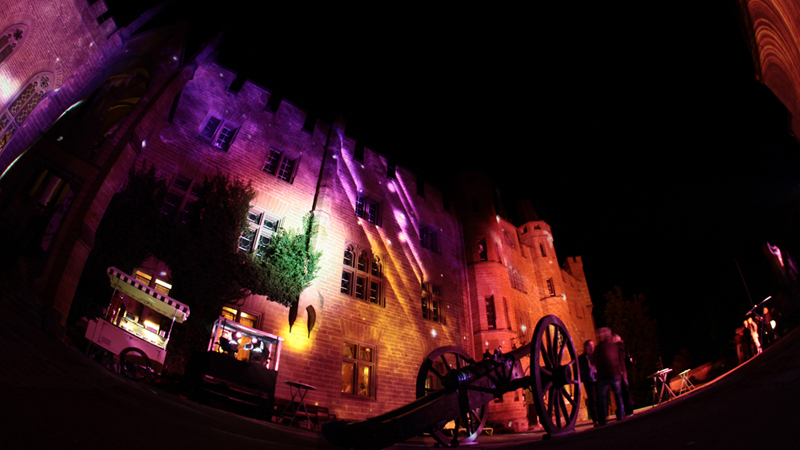 Installation at the old german castle Burg Hohenzollern for the “Sternschnuppennacht” an event during the passing of a meteor shower. 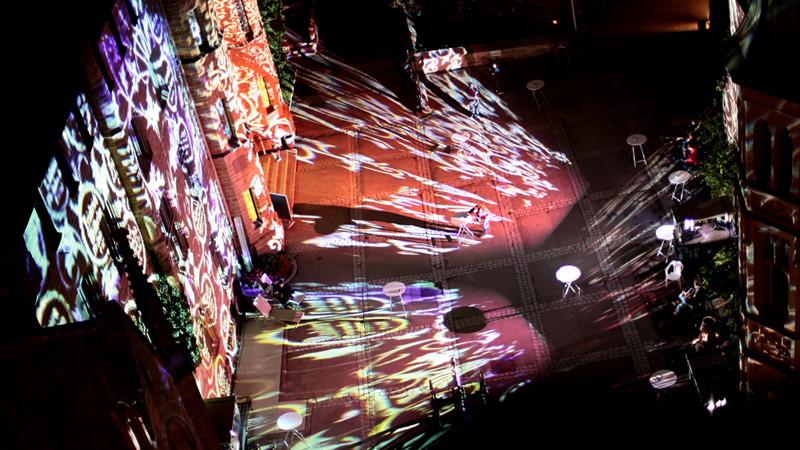 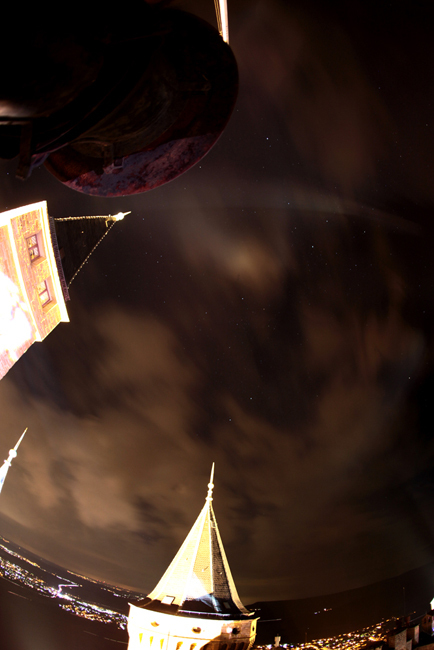 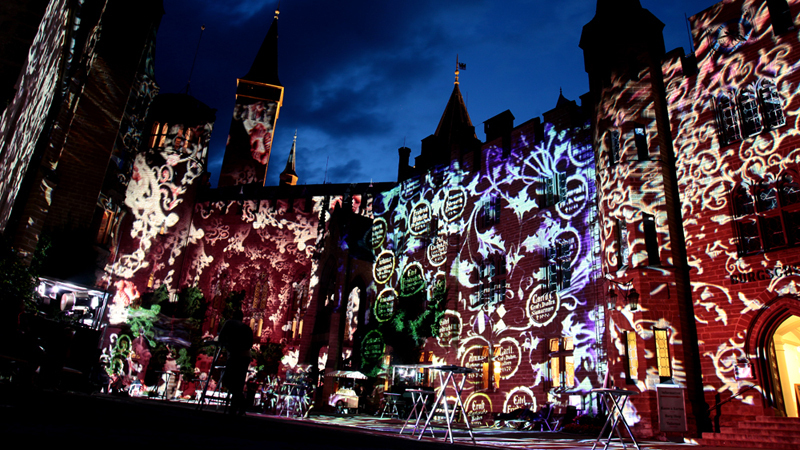 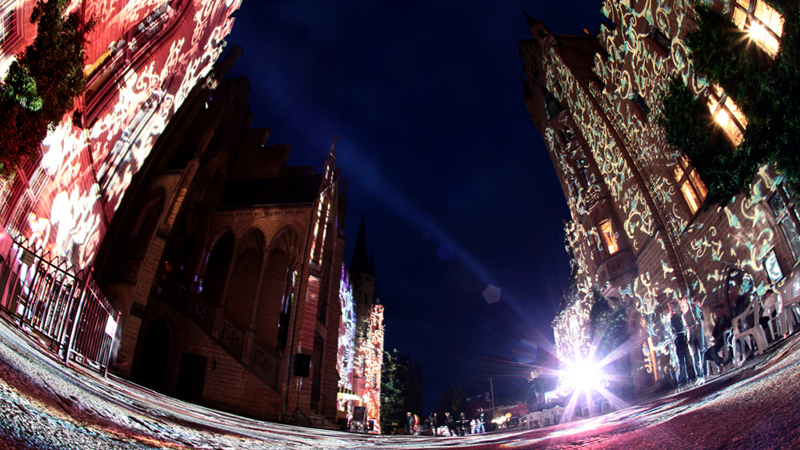 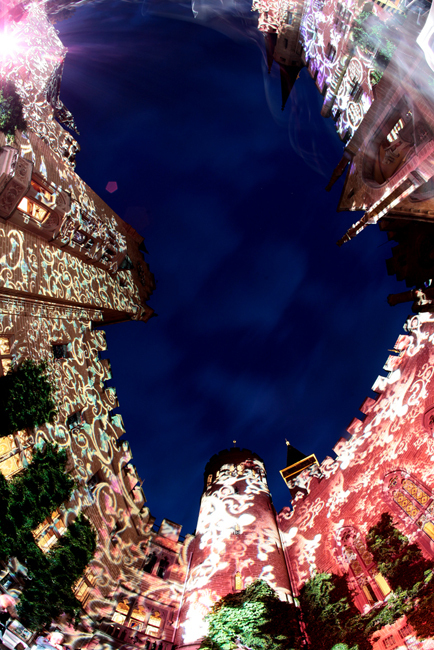 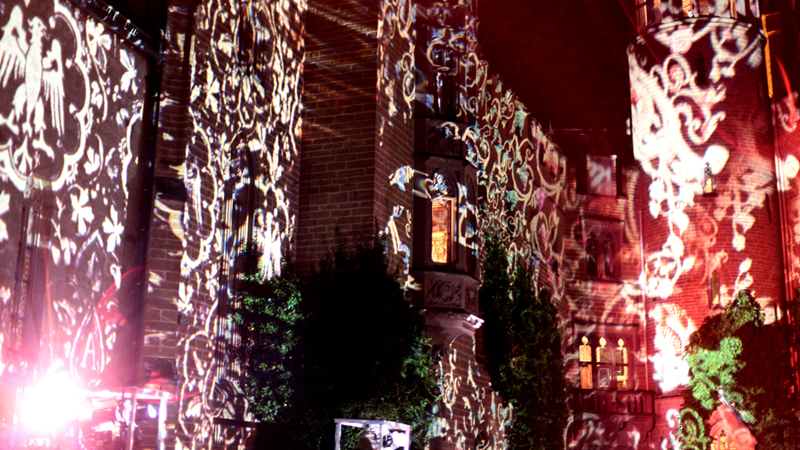 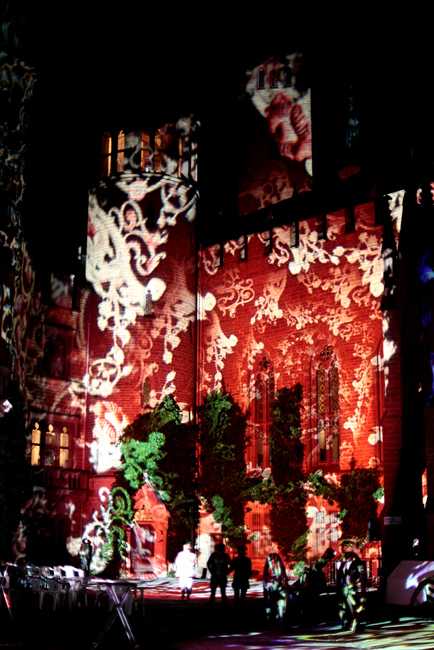 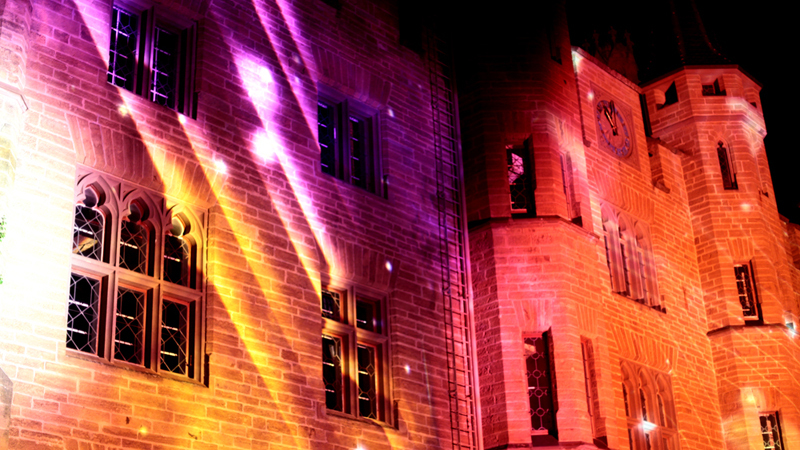 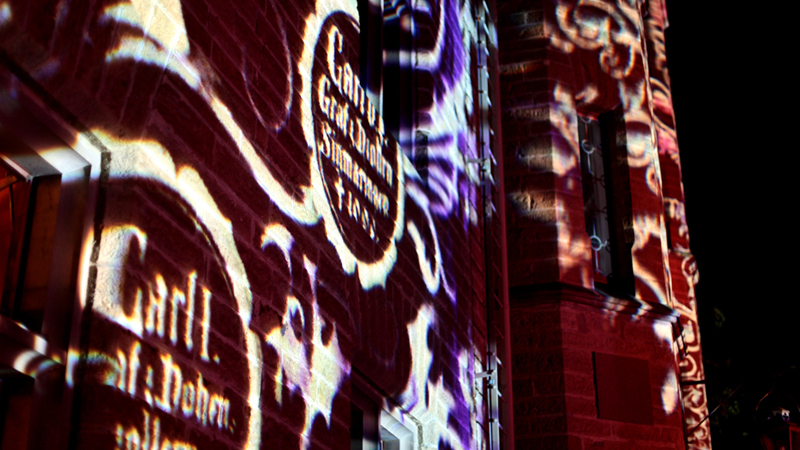 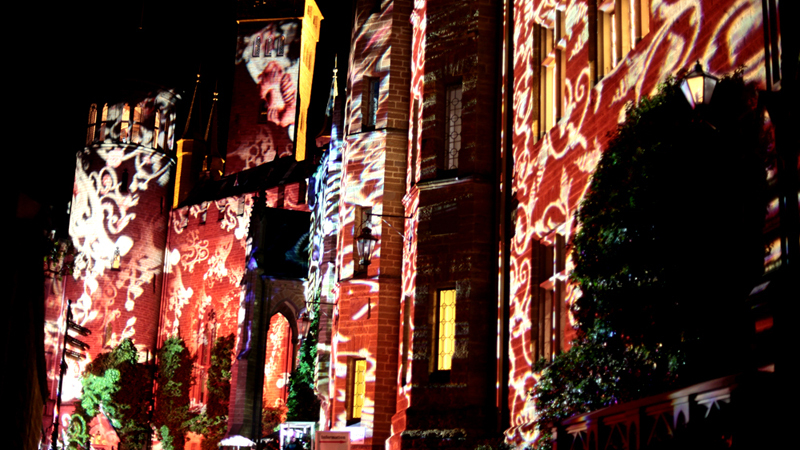 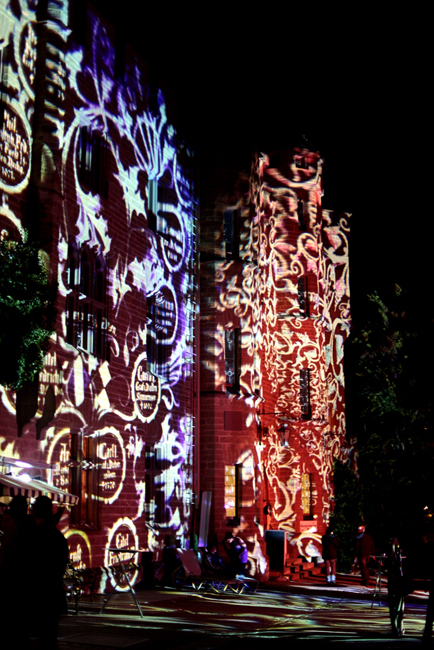 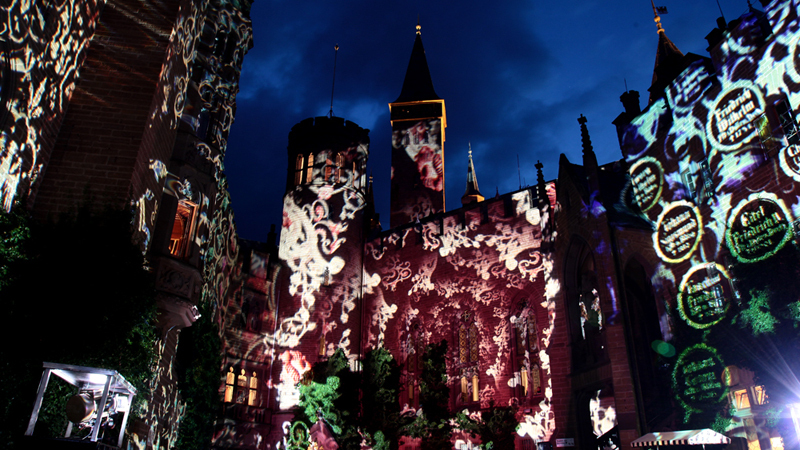 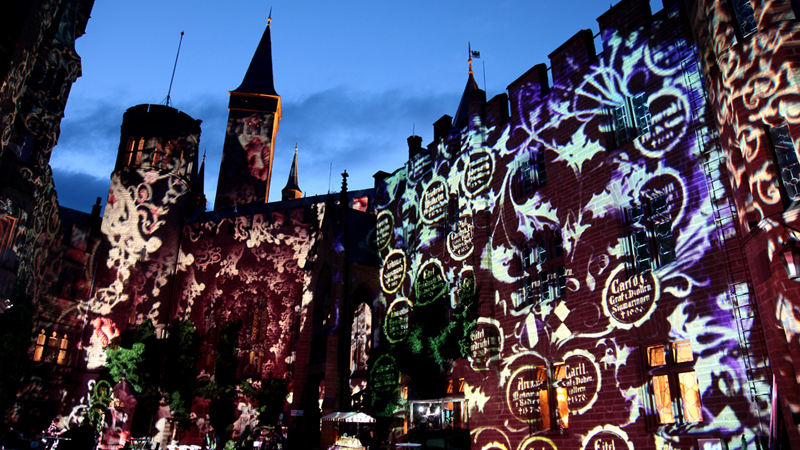 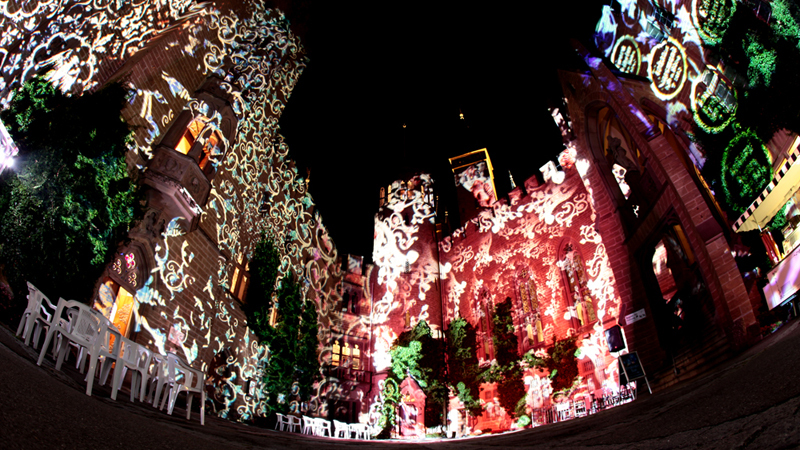 A 360 degree projection was created using strong Pani projectors. 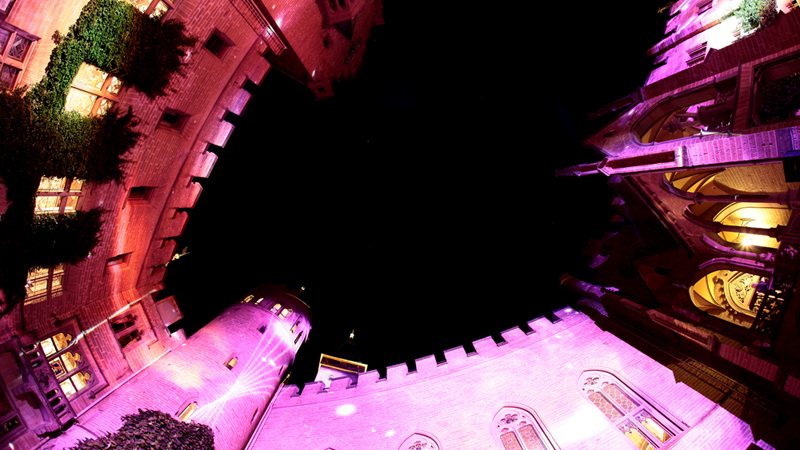 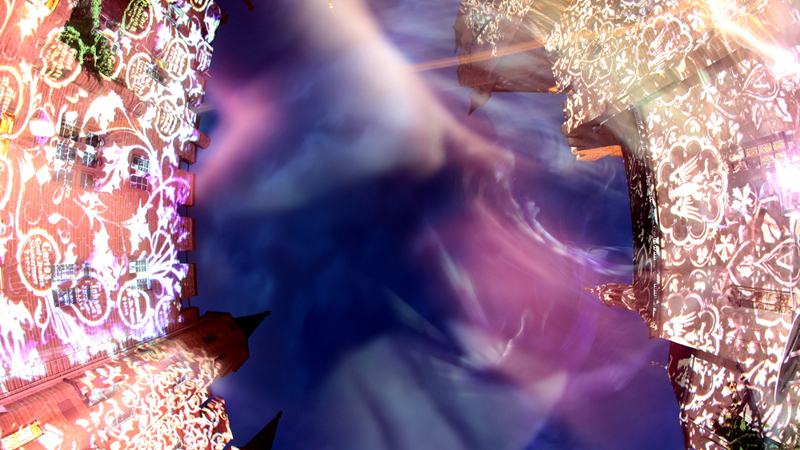 All the graphic content was derived from elements of the interior of the castle.